Where Does Your Christmas Spending Rank? How Much Will You Spend on Christmas? You’re the boss of your money so you get to choose whether you’ll spend $100 or $1000 on gifts this year. Doesn’t matter to us as long as you decide up front and plan for it. Sounds kind of crazy during the Christmas season—who doesn’t love buying on a whim or shopping just for the fun of it? You when January rolls around—that’s who! Spending without a plan usually means spending too much money on last-minute gifts you’re not even that excited to give. Instead, create a Christmas budget and stick to it. Then you can fill Santa’s sleigh with joy and peace, knowing your money is accounted for and you haven’t overspent. Keep your list from getting lengthy. Christmas spending can get as crazy as Uncle Eddie if you buy gifts for every extended family member and coworker. Forget obligation gifts. Only buy gifts for the people you really want to buy for—or truly should buy for. Send a nice Christmas card to everyone else. Pick specific gifts and shopping times. Once you’ve selected the presents you’re going to buy, choose a certain day or time to focus on shopping. Don’t scramble during your lunch hour to grab a last-minute, this-will-have-to-do gift for your spouse or kids. You’ll likely overspend and feel overwhelmed. Again, remember how you’ll feel when January rolls around! Buy online. Shopping online might be your cup of cocoa if you’re prone to overspending in a frenzied mall. Try sites like Amazon, which offer tons of gift options and free shipping on certain orders. Go for gift cards. A National Retail Federation survey reports that gift cards have been the most requested holiday gift for 11 straight years.² The perks? You can set a limit on how much you want to spend, but you leave the pressure of shopping to them. Pause before taking advantage of discount offers. Retails stores and sites like Groupon or LivingSocial may give you great deals, but don’t buy just because you see a huge markdown. Wait a few hours and make sure the item is usable by someone on your Christmas list. No matter how much money you spend at Christmas, be sure to have a plan. It’s totally fine to spend more on nice gifts, but it’s also fine to spend less. Whatever your plan, stick to it even when the gift-buying urge strikes! 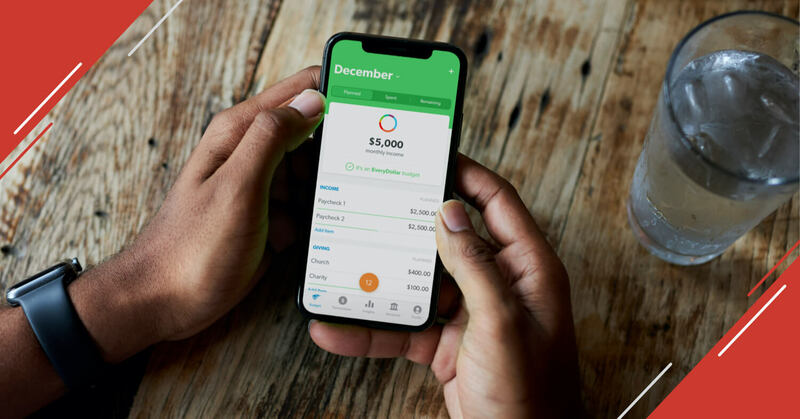 You’ve made a list and checked it twice—now track your spending with your EveryDollar budget!